As an audiophile or lover of hip-hop and EDM music, what if you could find the best headphones under 200 with bass? Ones with an affordable price tag that do not only promise superb audio quality while listening to music, audiobooks, podcasts, but can actually deliver it? While it'll take the tension away from your shoulders on how you're going to squeeze out your hard-earned money to buy one of those bass in-ear or over ear headphones worth over a $1000, you'll also have the satisfaction that you are using a high-quality headset. This and many more is what our guide to the best bass wireless headphones under 200 dollars will do for you. Lovers of the Ultrasone pro 900 as one of the best bass headphones recommended on Reddit and Beats endorsed by Dre and Lady Gaga, can find similar devices and also have a range of options to choose from. What is a Bass Headphone? A bass headphone can play low bass frequencies or low pitched sounds which enhances the quality of bass in your music. Equally, its frequency response reduces higher frequencies such as Treble which may not significantly change the sound of the original recording. Music with drums and basslines do not sound thin, but thick and you get a deep audio which is comparable to that from a car system or high-end speakers. This elevated or amplified bass quality is even more noticeable when you're in a quiet room than noisy places such as train stations, cars, planes etc. Most music genres including Blues, Country pop, Jazz, Metal, Rock, and Classical, have the bass tone even though it varies in each. A heavy bass headphone can heighten this tone to give your head a more banging sensation or ear thumping experience if you're into that sort of thing. Unarguably, there are several good quality bass headphones from different manufacturers of audio equipment that will make your head vibrate and spin. Given the nature of their build, design, and technological features, each device in its range is a competitor but some will definitely outperform others. The problem of which to settle with arises since you can only determine the device's quality after handling it yourself. To top it off, you want the best for your money's worth and not an inferior product. Now that's no longer a problem. We have selected the best bass headphones on Reddit within this price range and made comparisons with the reviews of verified buyers on Amazon to narrow down to best 5 that can provide an acceptable level of performance..
At about $128, Skullcandy crusher is one of the best bass wireless headphones in 2018 designed and manufactured by the American based company, Skullcandy Inc.
Having designed headphones, earbuds, audio backpacks, MP3 players, speakers and several other audio devices since 2003, you can trust this brand to deliver a high-quality product. 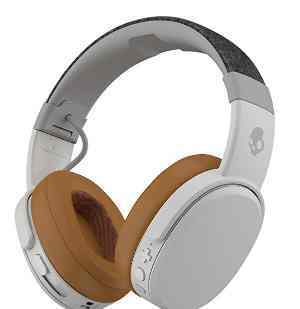 So, what about the Skullcandy crusher? This is a premium over-ear headphone that has been designed to give comfort with its memory foam earcups. It will tend not to retain heat in the earpads and as such, you can use it for hours without sweating or feeling any discomfort around your ears. Its noise-isolating memory foam ear pads can block out noise in the environment. If you want a headphone that will neither distract others when the sound leaks nor lose sound quality due to the noise in your environment, then you may want to settle with this guy. It has a metallic headband that makes it durable and for portability, you can easily fold this headphone in the middle and fit into a bag, pocket or travel with it. According to its manufacturer, the Crusher Wireless headset takes advantage of Stereo Haptic Bass to amplify the bass in music as well as enable you to adjust the bass levels for your audio. This is combined with its full range 40mm acoustic dual drivers and two subwoofer drivers. You get a deeply immersive audio when streaming electronic dance music, hip-hop and generally, songs with low frequencies but without a significant change in the original recording. To enable you to make hands free calls, it comes with an inbuilt microphone, hence you can plug into your Samsung, iPhone, PC, iPad, Android or any other device to receive calls. This wireless headset connects via Bluetooth to any of the aforelisted devices. So, you don't have to deal with tangling cables since you can access content from any Bluetooth enabled device with this headphone. This headset is rechargeable via cable, and a 10 minute charge can support up to 3 hours of music time while a 2.5 hour rapid charge can provide up to 40 hours of battery life. Compared to its variants such as the Hesh and Grind wireless (15 hours and 12 hours respectively), this headset has a longer battery life. With on-ear control buttons for volume, play, pause, seek track and skip call, you can easily change the track, play/pause a song, adjust the volume, and answer/end calls. 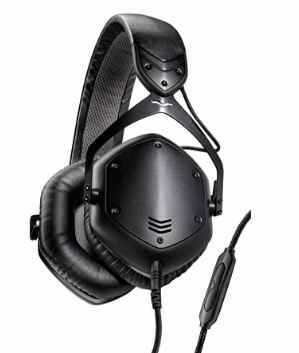 V-MODA Crossfade LP2 (XFL2V-U-MBLACK) is one of the best over-ear bass heavy headphones under 200 considering its specs and 149 dollars price tag. As a multipurpose bass headphone for studio recording, DJ, gym, etc. you get good value for your money's worth. In that case, if you're looking for headphones like the Ultrasone pro 900 or Sony mdr-xb950/b extra bass, this would be IT. The Matte black Crossfade LP2 bass headphone is designed to give you the best comfort thanks to its ergonomic SteelFlex headband and hexagon shape. This aluminum headband and the headset's hexagon design helps to fit the headphone to your head and ears without feeling too tight or loose especially when you move around. Its earpads are made of Ergosoft foam cushions to provide a comfortable feel to your ears while the headset is in use. The nature of the earcups of this closed back headset and its cushioned pads helps to conform with your ears and isolate sound which helps to maintain audio quality even when you're in a noisy environment. If you'll rather have a headphone that'll allow you to be aware of what's happening in your environment, you can check our guide here for the best open back headphones under 200. Its manufacturer claims that it can survive up to 60 drops from a distance of about 1.5m unto concrete as well as severe temperatures, humidity, salt spray and UV rays. If that's the case, then this is a headset that has been built to stand the test of time. Vi-mo's Crossfade LP2 has 50mm dual-diaphragm drivers whose size is large enough to amplify the bass in the songs or videos you listen to and still give you clear sound. Even though the lower frequencies are amplified, you still get vivid mids & vivacious highs, hence, you can still make out the lyrics of the song and you'll not only be left with booms and bangs. Whether you're a lover of hip-hop, rock, electronica, techno music, or whatever genre of music you want to stream, you'll come to love this budget-friendly headphone. This is a bass wired headphone and as such, if you are a lover of the wireless technology, you'll have to prioritize between sound and cables because this headset has been built to deliver heavy bass. This Audio cable is detachable as well as the Microphone cable it comes with. You can also connect this cable to 3.5mm smartphones and Tablets such as Apple, Windows, Kindle, and Blackberry. This headset is not powered by batteries but it can be powered by your audio source. With a low impedance of 32 Ω, it means you don't need an amplifier before you can use it since it does not require much power and as such, it can work on connection your Tablet or phone. If you want to make the most out of this headset and pretend that you've got a front row seat in a concert while, you can power it with an amp. 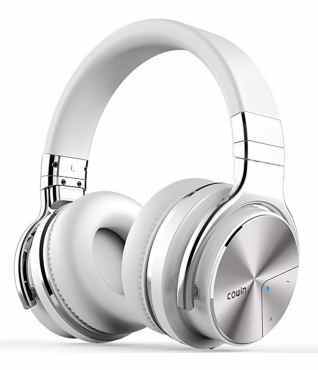 The Cowin E7 Pro is a successor to the popular Cowin E7 bass wireless headphone. Cowin is a US-based company that specializes in the design and production of headphones, earphones, and speakers, which has been the case since 2006. As a result, you're getting the best over ear bass headset from a reputable brand at a price of about $94. Moreover, its predecessor is still a trend on Google given its quality and this Cowin E7 2018 upgrade is not a letdown. The E7 Pro like most headphones promises durability and comfort but this time, it's achievable. This can be seen by its soft cushioned earpads that allow air to circulate freely. It has a lightweight of 0.85 lb which will enable you to use it for hours without feeling pressure on your head or ears. You can lie with it, take a walk, and also travel with it thanks to its portable size. The Cowin E7 Pro is a wireless over-ear headphone that makes use of Bluetooth for connectivity. It can also serve as a wireless TV headphone or it can be connected to your PC, Tablet, Android or iOS smartphone. The 45mm large-aperture drivers of this headset make for deeper bass where the quality of the original recording is not changed significantly. This headset is powered by a battery whose capacity is 800mAh and a full recharge can provide up to 30 hours of music play time while in Bluetooth mode. It features a professional active noise-canceling technology which makes it ideal for use in noisy environments and for this reason, you can listen to music while traveling, on the train, busy office, or airplane without any disturbance. You do not only get a device with heightened bass, but one that can maintain excellent audio quality irrespective of one's surrounding. 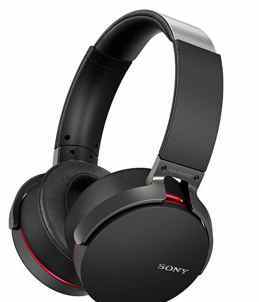 From the Japanese electronics, gaming, entertainment, and financial services company, Sony Corporation, is the Sony MDRXB950BT/B extra bass Bluetooth headphone. It is one of the best bass around-the-ear headphones under 200 and it is even a competitor with headphones in a higher price range. One cannot only pinpoint to the fact that it is from a reputable brand, but also to the fact that it comes with admirable specs that have been valued at $128. The Sony MDRXB950BT/B extra bass headphone sports cushioned earcups to give your ears a comfortable feel while in use. This headset's earcups are foldable ( horizontally 90 degrees and vertically 20 degrees) which enhances its portability, thereby allowing you to fold it flat and store in a smaller space. With that in mind, it can be your traveling companion since it takes the least possible space. In terms of color variants it is available in, you can either settle for one in black, blue, or red. This headphone can boost low frequencies usually attributed to bass and for this reason, you can make the sound you're listening to thicker. This is made possible with a Digital Signal Processor and 40mm drivers, capable of amplifying the bass in any music genre. Now all you have to do, is to click on the Bass Boost button for your amplified sound to deliver. Sony's bass headphone takes advantage of a wireless Bluetooth connection with NFC which can pair with an Android, iPhone, Computer, iPad, and several other Bluetooth enabled devices. The Bluetooth audio streaming has AAC and apt-X support for added bass emphasis and with an apt-X support, you can also use the sony mdr-xb950/b extra bass headphone for TV. You can get up to 20 hours of music play time and 200 hours on standby after a full charge of the Sony's built-in rechargeable battery and considering the hours, it is quite long enough to keep you entertained. In the same vein, if you're down with battery power, you can connect the packaged 1.2 m audio cable to the headset to resume listening to your favorite tracks. Unlike the in-ear or over-ear bass headphones from Sony like the MDR-XB50AP, MDR-XB50BS, and MDR-XB80BS, this variant supports wired and wireless connection. On a wireless connection to an audio source, this headset can play deeper bass frequencies given its frequency response range of 20 - 20,000 Hz and on a wired connection using a cable, you get 3 – 28,000 Hz wide frequency response. For hands-free calling, there is an inbuilt microphone on this headphone that connects via Bluetooth to your Smartphone or PC. You can receive and terminate calls by pressing the phone button on the earpiece and at call's end, your music will automatically resume. 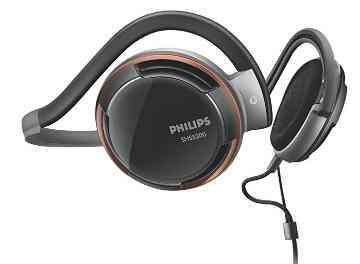 This open back headset is made by the multinational technology company headquartered in Amsterdam, Netherland, Philips. If you know Philips only for their electrical iron, then you might want to give a headset from this maker a chance. Unlike every other headphone you'll find on this list, this one has a unique design which categorizes it as a bass neckband headphone. Tired of over-ear and in-ear headphones? Then a change may be just what you need. This low-end headphone comes with vents to allow air circulation and non-accumulation of frequencies that may tend to reflect back into the sound. This vented design also helps to cool your ears while you listen to music, hence you can relax for hours with it without sweating on your ears. The Special reflective material on the neckband makes you noticeable in dark places. The vents on this headphone make for a deeper bass and a resulting sound that is not significantly colored by resonating frequencies. On the other hand, this may result in audio leakage through headphone as well as you being aware of what's happening in your surroundings. An advantage of this is that you'll be on alert to what's happening around you even with your headphones on, which may help to avert any possible danger. But then, the ergonomic shape of the ear cushions which ensures that you get a perfect fit that aligns with your ears might prevent this from happening. In either case, it's a win-win. You can expect accurate highs and mids, as well as deep bass with this headphone. As a wired headset, it makes use of a 1.5mm audio cable with a 3.mm gold plated connector which is only connected to one side of the headphone. And according to its maker, the 24k gold-plated finishing on its connector just adds up to give it an ultra reliable connection. How Were These Bass Headphones Selected? In a bid to select the best headphones under 200 for bass, there were some criteria we had to put into consideration. The reason is not farfetched given the fact that there are hundreds of headphones in the same price range. Whether you decide to buy one of these online or offline, the listed below are also some of the factors you should consider when choosing the best bass headphone in 2018. One major factor that contributed to our choice of the best headsets for bass was the price. We were limited to headsets under $200 and as such, it had to be some of the best bass headphones within that price range. A quality bass headphone should be able to enhance the low frequencies in a song while at the same time placing a balance between the mid, and high frequencies in order not to significantly change the original playback. Our selected headphones can still provide vivid mid and vivacious high frequencies. If you tend to wear headsets for hours, then you'll need one that is as comfortable as possible. While this can be provided by the soft cushioned earpads of the headset, its weight can also play a major factor in determining your level comfort. Our selected headphones have a lightweight and they have been designed with soft earpads to ensure that the one you settle for does not put so much pressure on your head. Higher frequencies depict higher notes like treble, and lower ones are for bass. It is good for a headphone to have a wide frequency response where it can balance both high, mid, and low tones. A bass-centric headphone should be able to play frequencies under 30Hz. In line with that, some of our chosen headphones can play frequencies as low as 3Hz, 5Hz, and 8Hz which means you can expect deeper bass levels. Impedance is the amount of power that a device requires to run. An impedance between 8 and 32 ohms means that the device can run on its own without necessarily needing an amplifier. Our selected headphones have an impedance between this range and not over 100 ohms. If you want the best bass quality, you can still power these devices with an amp. Real life operation of any technological device matters more than its specs on paper. That is why we also used the reviews and recommendations on Reddit as well as that of verified buyers on Amazon to determine the level of functionality of each device. And that's what our guide to the best bass wireless/wired headphones will help you achieve. Even without taking a chunk out of your wallet to buy them, you still get one of the best devices out there. Are you in the US, UK, Australia or any other country? Then you can find each of these headsets for retail on reputable online stores such as Walmart, eBay, and Amazon.